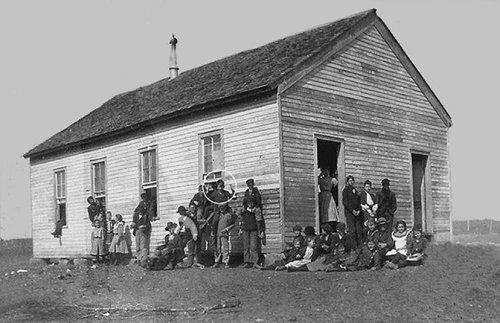 Salado, which means 'salty', is an old Tawakoni Indian settlement, although Paleo-Indian tribes were there even earlier. Bustillo y Ceballos probably stopped here, too. Originally called Salado Springs, it was settled in 1851 by Archibald Willingham and became a well-known stage stop on the Chisholm Trail. A stone wall was erected around the springs to keep the cattle out, since the springs supplied water for the town. Today it is a large, wide swimming hole behind a dam located downtown. One hundred years ago, the springs gushed so strongly that they produced a five-foot fountain. Between 1851 and 1868, eleven mills were built in Salado around the springs. Take exit 284 from IH35, go right at the first stop sign, cross Main Street, and continue on into the park. This park was given to the people of Salado by John W. and Elizabeth Pace Hodges in honor of their parents, William Alexander Pace and Sarah Jane Hankons Pace, on August 16, 1936. The land was once at the northwest corner of a 100-acre tract set aside by Colonel E.C. 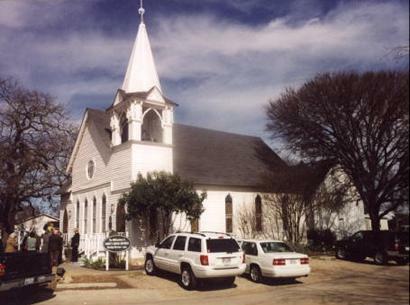 Robertson in 1859 to be sold to benefit Salado College. The property was purchased by a man named Stinnett who resold it to Pace in 1888. Pace was a Virginian who came to Texas to farm and had 17 children with his wife. During the Civil War, Pace Park was a safe haven to Company G.
Pace Park is a very simple park with few amenities. The main attractions are Salado Creek and lots of open, grassy space. The creek is shallow and suitable for wading. There are picnic tables and gazebos on the gently sloped shores, and private property is on the opposite side. The picnic tables are built of natural, uncut rocks from the creekbed. Cottonwoods provide shade. A covered pavilion has ceiling fans, a fireplace, and electricity. 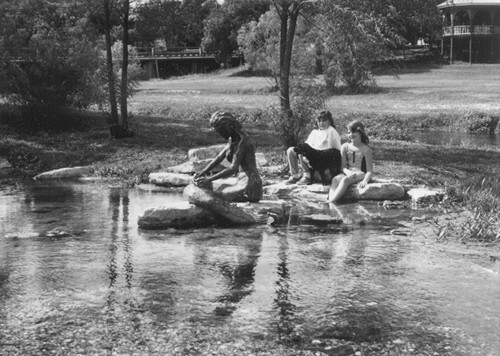 Salado Creek and Pace Park were the state's first designated natural landmark. Wagon wheel ruts can still be seen in the limestone creek bed just north of the park, leftover from when Main Street was part of the Chisholm Trail. Dear TE, A web search for Benoit, Texas, led me to your excellent site. My father, Maj. Gen. Thomas R. Rampy was born and reared in Salado. He wrote a detailed account of those years (1898-1916) in a book titled "Choice and Chance." I have posted it (PDF), including many photos, on the web at: http://www.upamerica.org/family/trrbook.htm. I believe those of your readers who are familiar with Salado would find the first of the three sections to be a good account of how things were on a Central Texas farm a hundred years ago.